*Note: This mini-review refers to inFAMOUS Second Son often and without explanation of the ties and connections mentioned. For more details via my official review for the game, click here. 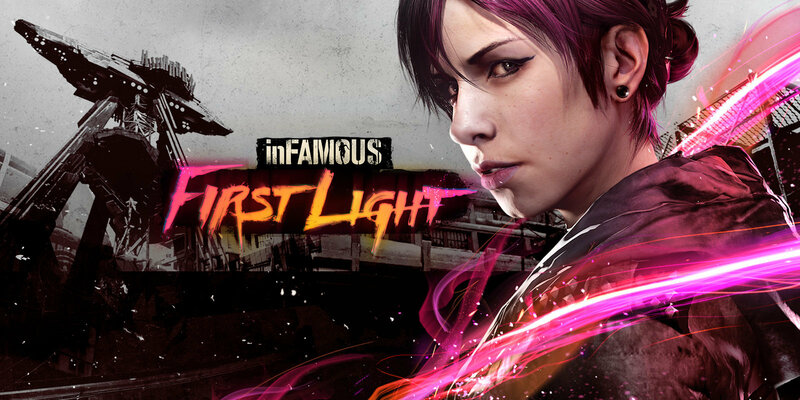 inFAMOUS: First Light takes places as a prequel to the events of the game inFAMOUS Second Son. The stand-alone downloadable game was released at the price point of $14.99 on August 26th, 2014 exclusively for the PlayStation 4. First Light follows the story of Abigail “Fetch” Walker, a supporting character from Second Son. Fetch was the woman who gave Second Son’s protagonist Delsin Rowe his neon powers in the original game. First Light takes us through a deeper look at her history as a conduit, as it is only briefly mentioned in Second Son, and gives us more insight into her character and life experiences. What we knew from playing through Second Son’s storyline was that Fetch was met with betrayal from her parents after finding out that she was a conduit and had to run away from home with her brother Brent to escape the D.U.P. agents that were called to take her in. We also knew that she herself killed her brother accidentally under previously mysterious circumstances, leading to her internment in the D.U.P. prison named Curdun Cay. In First Light those circumstances are made clear to us as we play through the events as told by Fetch herself. The narrative is laid out in a real-time/flashback format. 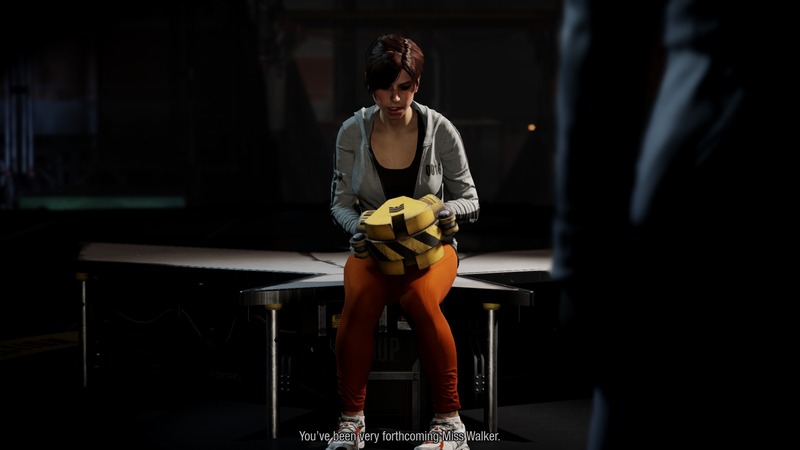 In “real-time”, Fetch is under lock and key in Curdun Cay and being questioned about her past by inFAMOUS Second Son antagonist Brooke Augustine. As she tells the story, we the player are flashed back to when the events took place which was two years ago in Seattle, WA. Things looks a bit different than they did in Second Son, the D.U.P. have yet to take over the city which makes it look more normal/non-militarized. We play through both the flashbacks and certain parts of the real-time events. 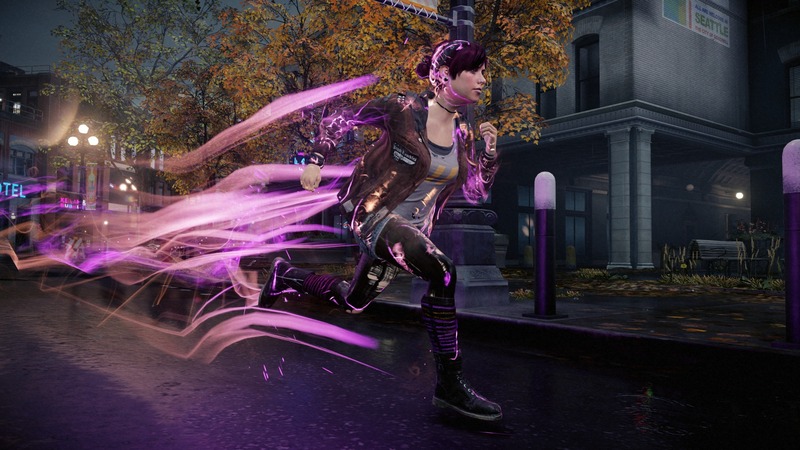 In between sections of narrative, Fetch is encouraged by Augustine to let loose on some digitized enemies (thanks to Second Son supporting character Eugene Sims) which in turn unlocks new powers for use in the flashbacks. While the real-time events are mostly cutscenes and challenges, the final portion of the game is played in real-time as the flashback catches up, leading right up to the beginning of Second Son. Gameplay is more or less the same as it was in Second Son, so those who have played Second Son should have no trouble getting the hang of things quickly as Delsin possessed a “cliff notes” version of Fetch’s powers in the game. She of course has the full version of the neon power set, so playing as Fetch is an entirely new experience. Fetch doesn’t fight the same way that Delsin did and she has different motivations behind her actions. There is no morality system in First Light, there are not evil or good actions, it is simply Fetch doing what she must to accomplish her goal. She is internally conflicted when it comes to morality so the lack of a player-driven morality system makes sense and does her character justice. Within the city of Seattle you can free roam and complete side objectives for experience points and trophies. 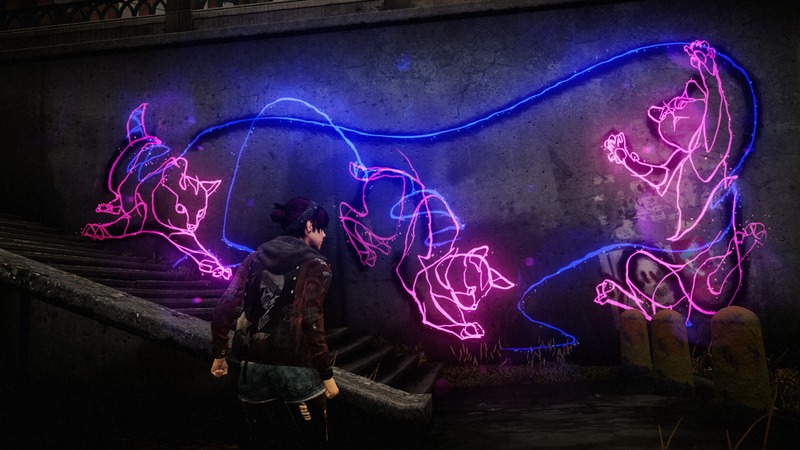 One side objective that I personally loved seeing again was the street art objective from Second Son, except this time instead of spray paint Fetch uses her neon to create beautiful murals throughout the city. Aside from the main story and the city side objectives, you can head back to Curdun Cay at any point to complete a whole new set of challenges. These challenges are wave-based and pit Fetch against varying groups of enemies. There are different objectives such as simply surviving and saving hostages, but the end goal is the same: get a high score and earn experience points. The experience points unlock new upgrades for Fetch’s powers and without doing these challenges in Curdun Cay you cannot fully upgrade Fetch’s abilities. Featuring the talented voice work of Laura Bailey, Fetch is more alive than ever in First Light. She has agency and is full realized in more ways than she ever was before, making her a truly substantial character in the inFAMOUS universe. I feel that the game’s writing and direction need special praise for delivering an outstanding story in such a way that even those who played Second Son and got the gist of Fetch’s past still learn something new. For example, while the people who played Second Son may already know that Fetch’s brother ends up dead, they will still be surprised at all the details and events leading up to his death. I’d highly recommend inFAMOUS: First Light to any fan of the series or player of Second Son. To those of you who haven’t played Second Son, I suggest you play through that first in order to establish a basis, since First Light doesn’t go into a ton of detail about characters like Eugene or Augustine, but of course it’s up to you. All in all the game is very well put together, from the story to the gameplay – it’s all very cohesive and entertaining. I give two thumbs up to inFAMOUS: First Light and can’t wait to see what is next in the inFAMOUS series, if anything. *Note: All images used in the article (except for the header) were taken by LadyCroft3 via the PlayStation 4’s share system. I really, really liked Second Son of PS4, so I’m still not sure why I haven’t picked this up yet. Fetch was a great character, or at least I felt that way when I did my “good” playthrough. Glad to hear that she plays differently and that you enjoyed the standalone DLC.